Rectangle Sunburst Mirror is a true coastal mirror and is wonderful to throw light around and to make spaces seem to go on forever. With the antique wood and salvaged tin we use, the mirrors give a home that old world charm. This a unique handmade mirror with that distressed look. 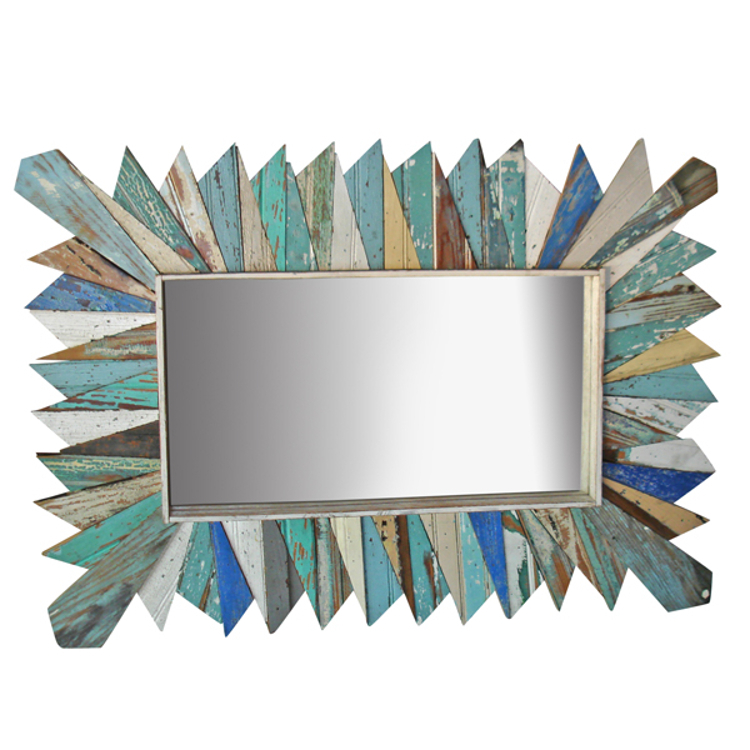 Rectangle shaped mirror frame is covered with recycled strips of wood in a sunburst theme.